Red Silhouette. 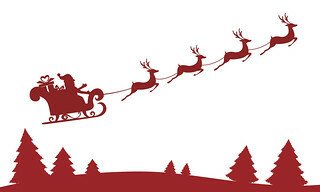 Santa claus flying with reindeer sleigh. Cartoon Vector Illustration.